Looking beyond the the festival buzz and awards season chatter, which are too ‘inside the bubble’ to mean much, and the hype for La La Land is legit. 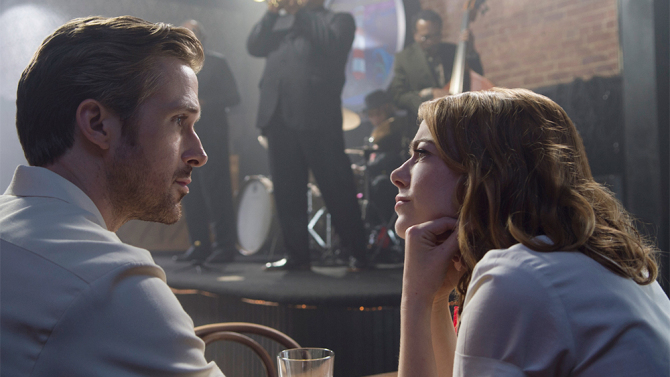 Not only is it the third pairing of Ryan Gosling and Emma Stone, the on-screen pairing everyone wants to cut in on (Crazy, Stupid, Love is great, and we don’t talk about Gangster Squad), but also the second film from director Damien Chazelle (Whiplash). If that isn’t reason enough to be excited, I don’t know what else to say. Unfortunately, the first third of this movie is rough. Some of it I attribute to the particular issues at the screening I attended (the crowd was chatty and restless, and the sound was not great), but it is mostly because while I didn’t know what exactly to expect from La La Land, I definitely was not expecting it to act like a fluffy 1930s Hollywood musical. Surely Chazelle is too interesting to offer up a pure nostalgia trip? And while the answer to that question is ultimately both yes and no, once I found the film’s wavelength, I was hooked for the rest of the film. Yes the musical number that opens the film is fun, but the film has zero momentum until the third time the main characters meet. Both character introductions are arch, and they feel like they are crammed between the musical numbers which Chazelle seems much more interested in. We meet Mia (Stone), an aspiring actress who works at a coffee shop on the Warner Bros. lot and her friends, but we don’t learn much else about her or why she wants to be an actress. Sebastian (Gosling) is a jazz pianist who wants to play free jazz instead of “Jingle Bells,” but all of these scenes set in the initial “Winter” of the film feel like an extended prologue at best, taking too long to get things into place for the amount of information we learn. The next season of the film begins to make up for it. It is Spring and Mia is at a party with an 80s cover band, with Seb playing keyboard. Finally some sparks begin to fly, and a romance is born. Attempting to find her car after the party leads to chemistry, a fun dance number, and a longing for more from both the audience and the characters. This is where the film truly comes into its own. And by the end of the film, I was completely invested and hooked in the story. It may be that the film spins its wheels for too long at the beginning, and it may also be something subtle enough that I didn’t notice it until after leaving the theater. As the film goes on, it moves from a heightened musical reality to something more organic and “real.” At the beginning of the film, the dialogue has an old Hollywood cadence, the skies above Los Angeles are purples and pinks, filled with stars, and the sprawl sparkles below. By the end, the majesty has worn off, the magic recedes, and dreams solidify into reality. 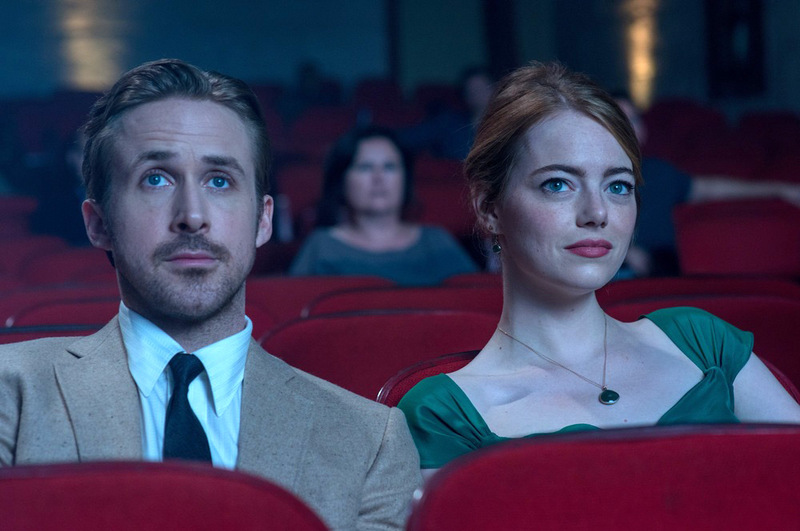 At first, La La Land seems like an exercise in nostalgia, reveling in a love of jazz, song-and-dance musical films, movie stars, and on-screen romance. But by the time Seb has joined a band with Musical Guest John Legend, it becomes clear that the film is a bit deeper than waxing nostalgic and chasing dreams. The central conflict between the romantic leads is what drives the film’s larger themes. Mia believes that all good art is validated by the appreciation of an audience, while Seb believes in art for art’s sake, regardless of audience, even if it takes a bit of selling out to make his passions possible. Legend’s character sums this up perfectly in a conversation with Seb, telling him that fans of jazz who insist on purity, on a way jazz is “supposed” to sound are partially responsible for the genre’s continued decline. Art needs to change and evolve and reflect the current times. It isn’t an admonishment of nostalgia whole cloth, but a repudiation of the kind that strangles innovation. That’s what makes La La Land so great conceptually. It’s a loving homage, but also tries to extend it forward, playing at a way to update the Stanley Donen way of making musicals for the modern age. And by imbuing the film’s central relationship with this conflict, it is able to resolve the ideas of the film and the film’s story all at once. By the end of this film, I was completely moved. I can’t wait to see it again, since I suspect this is a film that will reward multiple viewings. And maybe that first section will work better knowing what is to come. 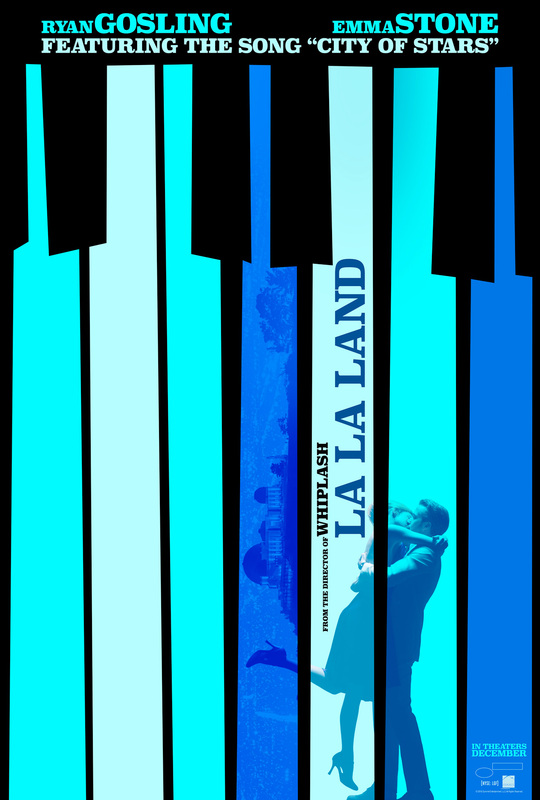 La La Land opens in Philly theaters today.